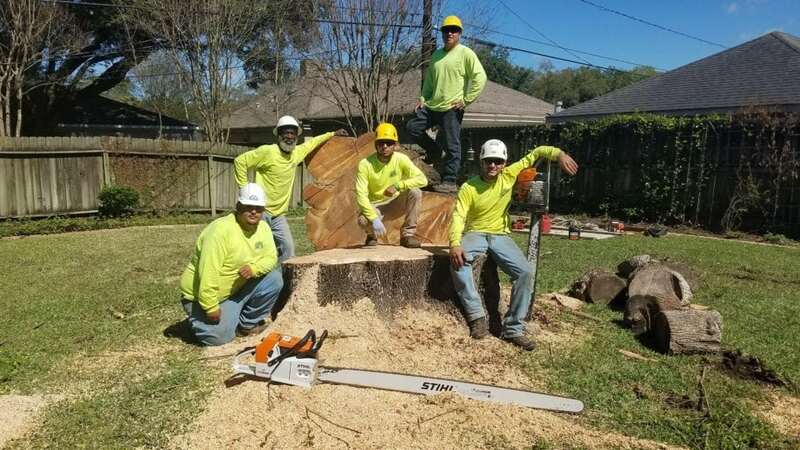 Tree trimming to reduce risk includes clearance pruning, weight reduction pruning, trimming trees for storms and hurricanes, and trimming trees near power lines. The risk you are aiming to reduce steers you to the appropriate method. 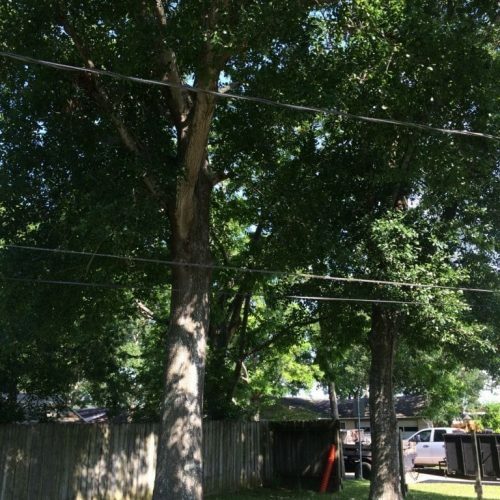 If you have a mature tree composed of large, heavy limbs that over hang the house, the street, and power lines, then multiple actions may need to be applied. 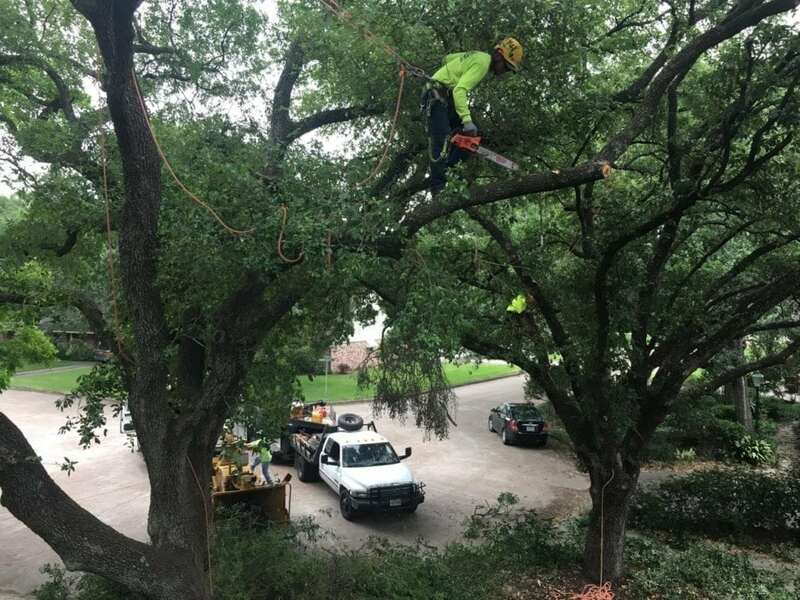 Clearance pruning is tree trimming to reduce risk by removing limbs to achieve a certain distance away from structures and above yards, driveways, sidewalks, and streets. Typical recommendations are 3 -5 foot from structures, and anywhere from 8 – 18 foot from yards, driveways, sidewalks, and streets. Structure clearance prevents tree limbs from rubbing shingles, in addition to reducing bird and rodent access on roofs. Street and sidewalk clearance protects vehicular and pedestrian traffic. 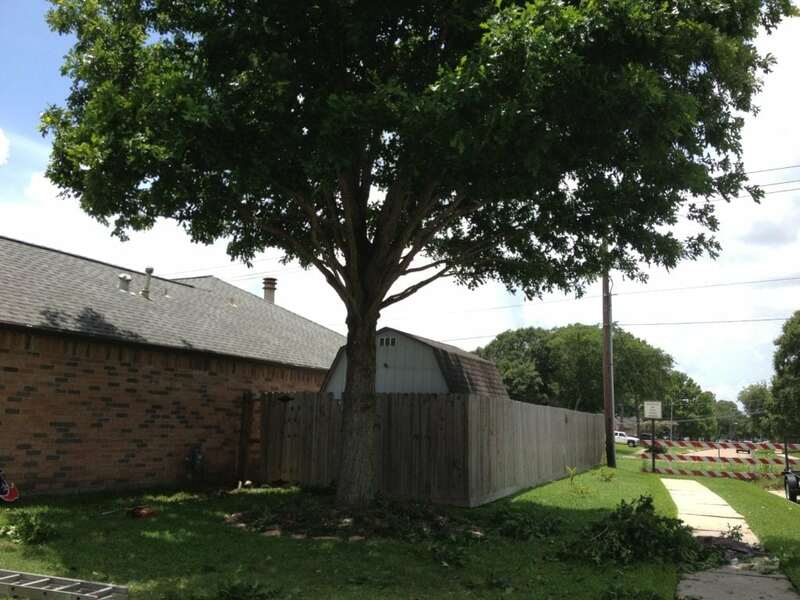 Driveway clearance can reduce the risk of tree parts falling onto parked vehicles. Clearance pruning goals are usually met with crown raising pruning techniques. Weight reduction pruning is tree trimming to reduce risk by alleviating weight off of heavy limbs. Decreasing the weight on the end of a limb will minimize the chances of breakage. This can be targeted to a single branch, a section of a tree, or the entire tree. The determining factor when assessing risk is the present target. If the only target concern is the house, weight reduction pruning can be isolated to the section of tree over the house. 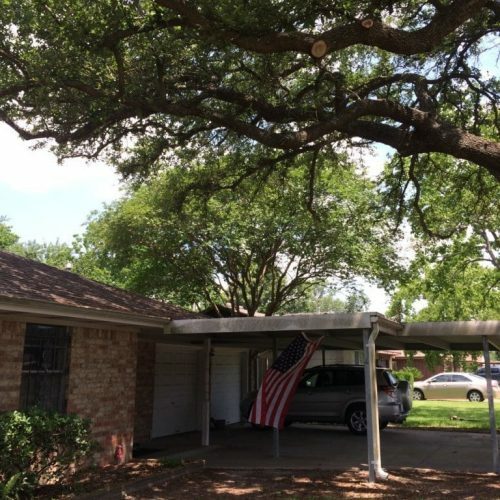 However, if targets include the house, driveway, yard, sidewalk, and street then the entire tree volume may need to be reduced in order to minimize risk. 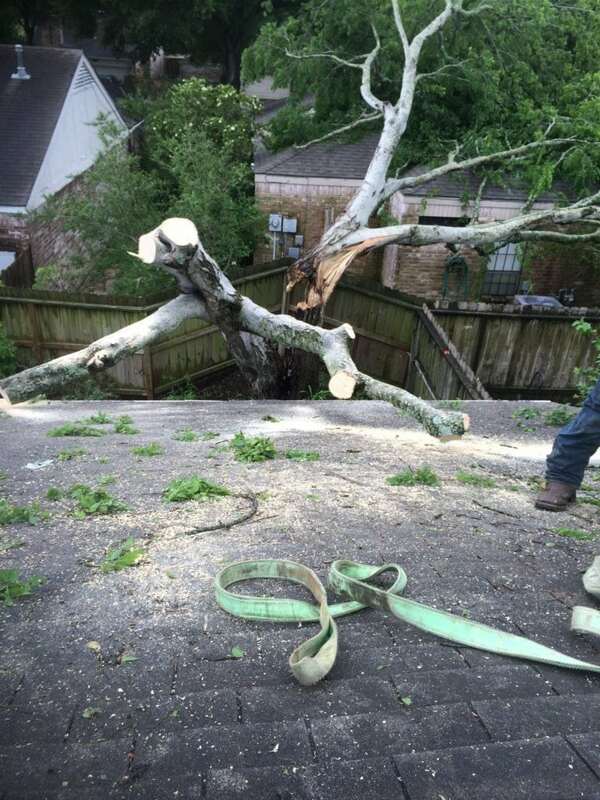 Tree trimming should be considered when preparing for storms and hurricanes. 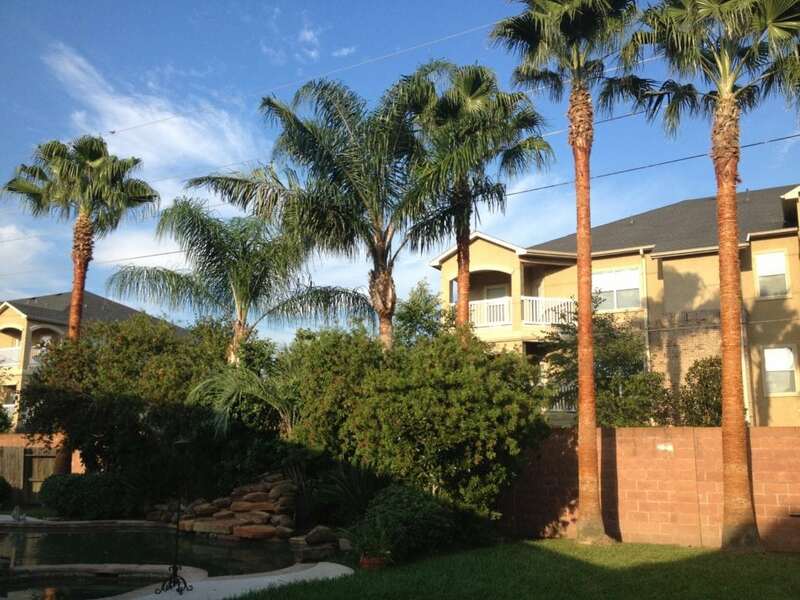 There are multiple steps that can be taken to reduce the risk of tree and/or branch failure. 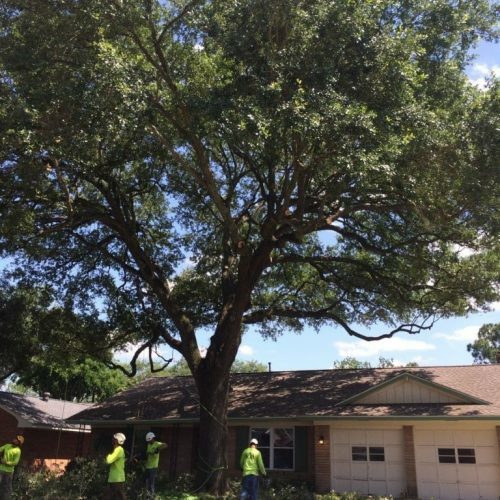 Thinning, cleaning, clearance pruning, and weight reduction pruning are all tools used to make ready a tree for a storm or hurricane. 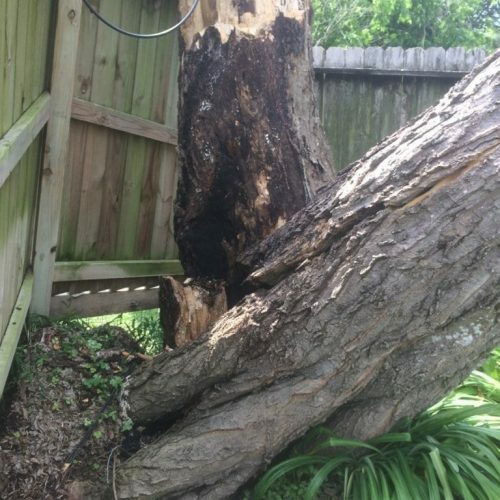 Examine your trees before storms or hurricanes to check for major defects that increase the likelihood of failure. Some things to look for include large cracks, signs of decay (like mushrooms and conks), codominant stems (forked stems about the same size, arising from the same junction), and large or numerous deadwood. There are guidelines requiring to maintain safe distances from power lines for unqualified workers and home owners. You don’t have to touch a power line, but rather just touching a branch that is touching a wire can cause fatal injuries. For tree trimming near transmission and distribution lines, a call to the utility company is usually the best option.